The Avalanche has two 19-year-olds on its roster. Both would have been better off to have been somewhere else this season — center Tyson Jost as a sophomore in NCAA hockey with North Dakota and defenseman Samuel Girard in major junior with the Shawinigan Cataractes. 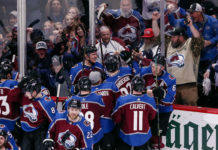 I felt even stronger about that after attending the Avalanche’s 2-1 win over the Florida Panthers Thursday night at the Pepsi Center and then the defending NCAA champion Denver Pioneers’ 1-0 squeaker against lightly regarded Dartmouth Friday night at Magness Arena. 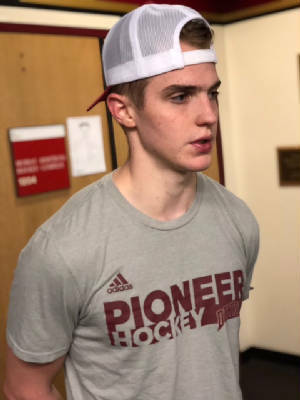 Among the five NHL draft choices on display for the Pioneers were forwards Henrik Borgstom and Troy Terry, who both recently turned 20, and Dylan Gambrell, 21. Borgstrom is a sophomore and was claimed at No. 23 in the first round by Florida last year. 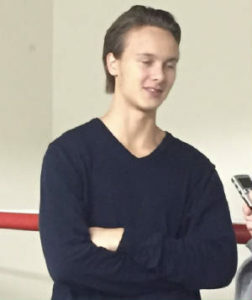 Several members of the Panthers staff remained in Denver after their loss to the Avalanche to get another look at Borgstrom on the DU ice. 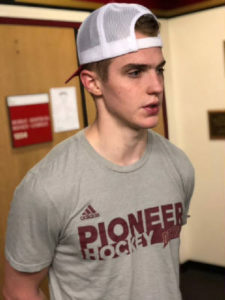 Terry, a junior from Highlands Ranch, went in the fifth round to Anaheim in 2015 but since has had his stock rise through heroics for the USA in the World Junior Championships and the NCAA title run with the Pioneers. Plus, he likely will be on the USA Olympic team in South Korea in February. Gambrell, also a junior, was the 60th overall choice in 2016, going to San Jose at the end of the second round. Borgstrom, Terry and Gambrell are getting another year of seasoning in elite college hockey, and they will be better off in the long run for it. Yes, Jost was claimed considerably earlier than any of the Pioneers, going to Colorado 13 picks ahead of Borgstrom in 2016. But even as a No. 10 overall pick, he also would have benefited from returning to North Dakota and playing there as a sophomore before signing with the Avalanche in the spring of 2018. Instead, Jost was one and done. He played six games with Colorado at the end of last season, and his only point was his first NHL goal against Minnesota on April 6. Girard was the 47th overall pick in that same 2016 draft, and when the Avalanche acquired him as part of the haul of four players and three draft choices in the Matt Duchene trade, he had played five games this season with Nashville. 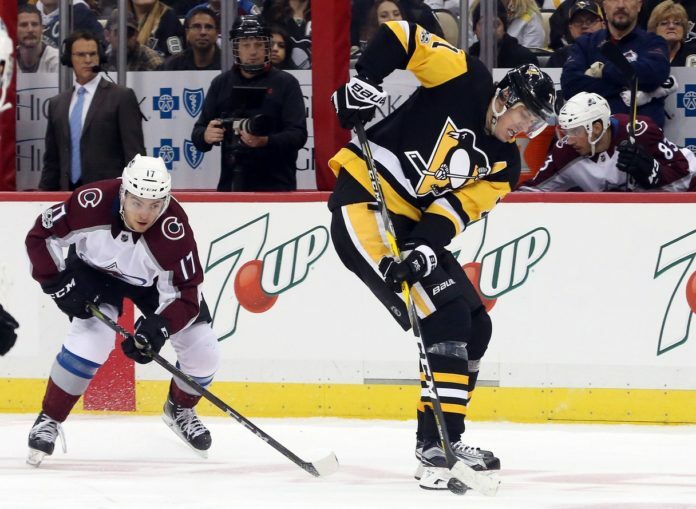 The Avalanche eagerly put him on the active roster, knowing that once he played 10 NHL games, his three-year, entry-level contract would kick in. The option was to return Girard to Shawinigan before he played that 10th game and not burn a year of his deal. 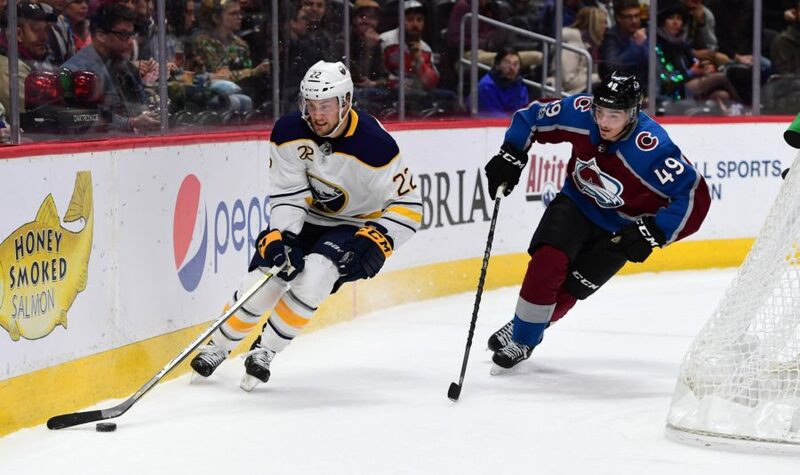 With winger Vladislav Kamenev, 21, out with a broken arm suffered in his first game with Colorado on Nov. 16, Girard is the only player on the active roster to show off from the Duchene trade — a deal based far more on the future than the present. Center Shane Bowers, whose rights came from Ottawa, is a freshman at Boston University and goalie Andrew Hammond is in the AHL. Now Jost and especially Girard have been struggling, at least to this extent: For the most part, they look like 19-year-olds in the NHL, and not like the few wunderkind 19-year-olds who are stars from the second they step on the ice in the top league in the world. 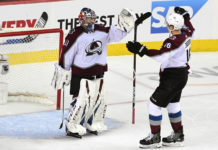 The Avalanche originally tossed Girard, an adept puck-moving defenseman, into the top pairing with Erik Johnson, and it worked out initially. Then Girard hit a wall and his minutes have diminished as the Avalanche, with Alexander Kerfoot out with a foot injury, have been going with seven defensemen in the lineup of late. Girard’s miscue led to the Panthers’ only goal Thursday night. In 22 NHL games this season, he has one goal and four assists and is averaging 18 minutes of ice time. Jost has a point in each of the past two games — a goal at Washington Tuesday and an assist against Florida. But until then, he was ineffective and for the season, he has two goals and two assists in 15 games with Colorado. He missed 10 games in a 12-game span with a leg and then lower body injuries and went down to San Antonio for five games to get major ice time before being recalled Nov. 26. The major positives, of course, are that he’s making $885,883 in the first year of his three-year deal, is in the NHL and doesn’t need to study for finals. He was eager to sign, and the Avalanche obliged. What did he mean by playing like himself? When he signed, of course, the expectation was he never would play a game in the AHL, and while his stint with the Rampage about rehab and sharpening ice time, it still could have been a bit jarring. “I think it was good for me and I think the coaching staff and the management staff did a very good job with handling things, and I think it was best for me,” Jost said. “I was out over a month, and that’s a long time to be out and not playing in any games. To get my legs back under me and get my conditioning back, it was important. When you have a lower body injury and you can’t skate, it’s tough. 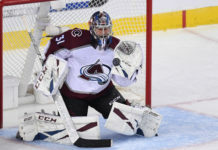 Girard played more than 20 minutes in seven of his first eight games with the Avalanche. But in the most recent four games, his ice time totals have been 9:16, 14:16, 12:30 and 11:14. “I think I’ve made some good plays, but for sure, I can be better,” Girard told me Friday. “I’m having a tough month right now. Every player has tough months. I’m going to make sure I come back stronger. It’s hard for a 19-year-old defenseman, but I know I can be better and I need to have more confidence with the puck, like I had my first few games. That’s what I’m trying to do. Girard is making $728,333 in the first year of his entry-level deal. In his case, the alternative was the Quebec Major Junior Hockey League and a pro-length schedule at Shawinigan. Colorado coach Jared Bednar said he isn’t concerned about the Avalanche possibly rushing Girard. “I think he’s been up and down a little bit, like since he’s been here,” Bednar said. “He started out really well, he took a dip, he worked his way back in some of the games on the road trip. I think he’s doing an all right job. Honestly, he’s learning how to maneuver his way through games.